You are not meant to understand jazz; you are meant to enjoy it. 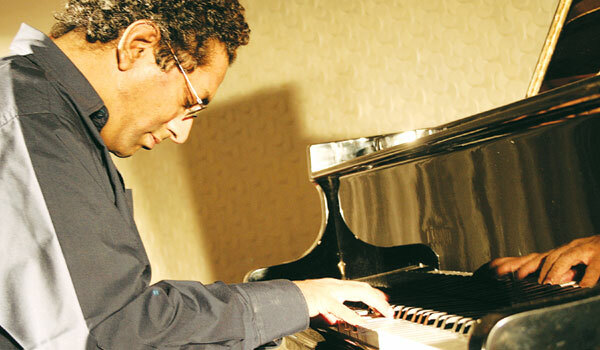 Renowned city-based jazz pianist, Madhav Charia��s words are music to my untrained ears. Ahead of his concert this weekend, on one of his rare public performances, he says, a�?I am not expecting you to understand the technical aspect; I want you to be moveda��by the foot-tapping sound of swing, by the emotion behind the blues and the romantic ballads, and by the chemistry and energy on stage.a�? Famously controversial about his stance that India doesna��t have many jazz musicians worth their salt (a�?they cana��t deliver, they just dona��t feel ita�? ), he states that many of the international artistes we listen to in the city are quite bad, too. a�?The French and German musicians play a post-modern jazz that is all intellectual. Ia��ve heard music from the source, from great New Orleans musicians like Wynton Marsalis and Kenny Barron. So when I listen to these artistes, ita��s much like listening to real Carnatic music in sabhas, and then going to Toronto to listen to a gharana of Indian music there,a�? he laughs. Though he keeps away from the club scene, because a�?the audience is completely undisciplineda�?, and limits his performances so that he doesna��t overexpose himself, Madhav Chari has been consistently conducting jazz workshops and outreach programmes since 2003a��to introduce people to a�?this great tradition of music and what its energy is likea�?. In fact, hea��s already done over 100, and now he plans to write a book on jazz for the Indian audience. a�?I play jazz like the living tradition it is,a�? he signs off. And if you dona��t know what that means, we suggest you head to Museum Theatre tomorrow at 7 pm, to see him perform with drummer Jeoraj George and bassist Naveen Kumar. The most important book written on jazz music, according to Madhav Chari, is Considering Geniusa��Writings in Jazz by Stanley Crouch. A series of articles on the great musicians, and even movies on them, it is an engrossing read. But if youa��d rather watch a movie, try out Ken Burnsa�� 10-part series, Jazz, with great fotage of artistes like Billie Holiday.